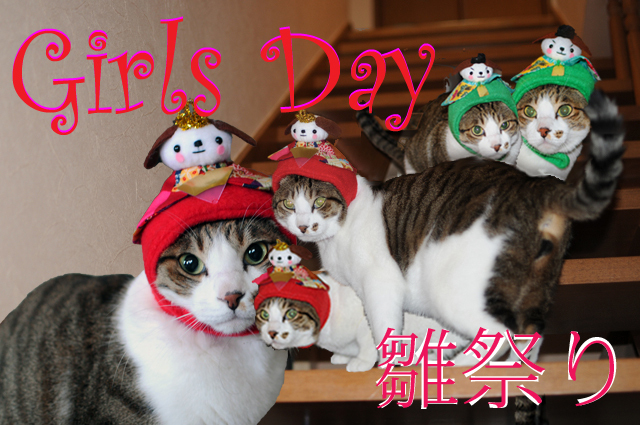 March 3rd is the "Girls Day" in Japan. This Girls Day is also called "Doll Festival"
This custom started in Heian period. First it seemed to be a doll play of the girls. And in sometime the custom turned out to cure the evil and wish all the best for the girls. For detail, please refer to Wikipedia and the others. Above pic is Micael wearing the cap of Emperor and Empress. 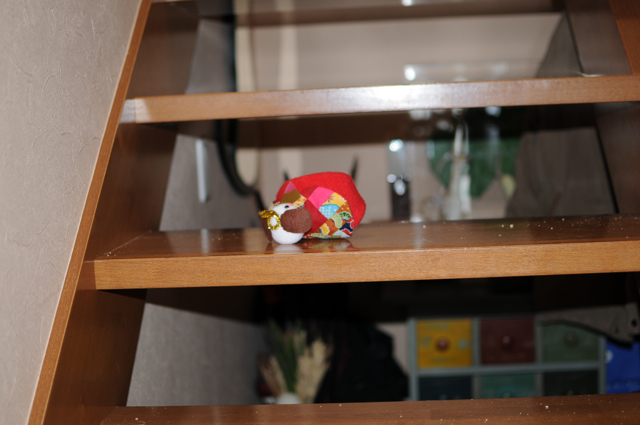 Fist idea for this time, I was dreaming to ask all the members of POPOKILANI to sit on the stairs. But as usual, this is just a dream that never come true. So I begged Micael to help me. 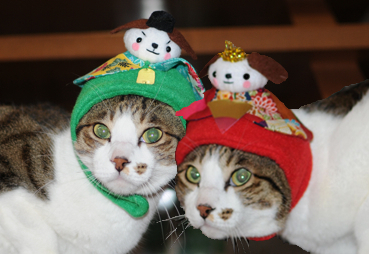 Few days ago, he was pointed as a CCO (Chief Costume Officer) of our cattery and for that may be he could not refuse. This times fee was chicken breast meet. Micael COO knows what he deserves and what has to be offered. And also it looks like the other members are telling him not to attend this kind of annoying job. Many thanks to Micael again for letting me remember the good old days of mine.